We offer our clients an unequalled track record matching industry with highly qualified practioners and senior private banking experience. Our detailed and intimate recruitment process enables us to deliver consistently to the highest standards of professionalism and integrity our clients’ requirements with the talents and experience of our candidates. We help Private Banks, Investment Managers, Wealth Managers and Family Offices to attract and retain the best professionals so they can grow and prosper together. 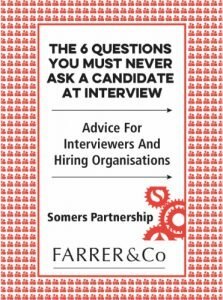 "The Somers Partnership have a strong ability to take the long term view in identifying candidates that will add value to a business. This is an expertise from which we have benefitted." "I have known and worked with Mark and his team since 2006. His knowledge of his market is profound and his professional behaviour exemplary. He combines great communication skills with forensic research of the private banking sector and a consequent ability to match individuals to organisations with accuracy and realistic expectations for all parties concerned. I recommend him highly." We understand the complexities involved in both single and multi family offices and have over 20 years of experience in finding the ideal candidates to meet the demanding roles. We are the most networked recruitment organisation within the wealth management industry and offer an unrivalled service to our clients. In our experience only 10% of private bankers are the top performers that smaller organisations need and we are experts in finding those 10%. 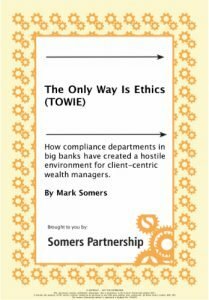 Mark Somers has over 20 years of experience in the executive search industry specialising in the wealth and asset management sectors. He founded the Somers Partnership in 2005, a retained executive search boutique. Mark has assisted a wide variety of clients ranging from single and multi-family offices, private banks, private client investment management companies, trust companies and consultancies. Ginny has over 20 years’ executive search experience in Private Wealth Management and Asset Management. She previously worked at The Consulting Group, TMP Worldwide and Hanson Green where she was Head of Private Wealth Management and a Consultant in Asset Management. Ginny joined The Somers Partnership in 2017. To help client facing staff understand their value in the market, we have commissioned our own wealth management industry compensation survey. The report gives you the power of knowledge – you can benchmark yourself against your peers. Fill out the survey to receive a free copy of the report.